Rose - the queen of the garden plot. She's moody, finicky and demanding care, as well as all the crowned heads. The works in the rose garden does not stop even with the approach of autumn, on the contrary, the most complex preparations roses for winter is just beginning in September. Competent care for roses in the autumn - a prerequisite of their successful exit from hibernation. Feeding - the most important part of the year-round carefor all kinds of roses. By the fall fertilizing composition must be seriously altered. 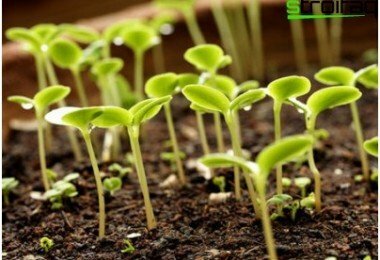 Nitrogenous fertilizers, including manure, are relevant in the period of active growth of seedlings, as provoking the emergence of new shoots. Since mid-August, their application is terminated. Young shoots are not able to survive the winter, and when spring thaw peremerzanii and can infect and rot the whole bush. Fall fertilization should contain potassium and phosphorus, provoking rapid formation of a dense crust, which reduces the plant response to temperature changes. To prepare the solution required: 10 g of potassium sulfate; 25 g of superphosphate; 2.5 g of boric acid. The composition is diluted in 10 liters of water is used for irrigation. 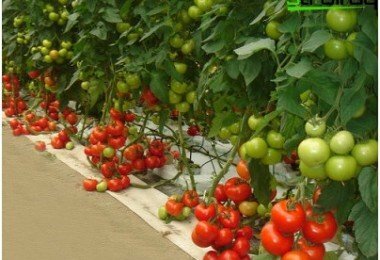 The solution for spraying can be prepared from equal parts of monopotassium phosphate and superphosphate (15 g) and 30 liters of water. For watering the same ingredients raised on 10 liters of water. 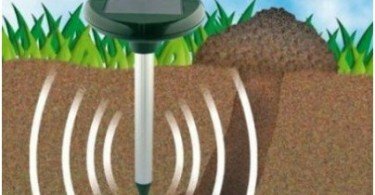 Gardeners who refuse to useplot ready factory fertilizer, enriched with these substances make solutions for irrigation of the natural products. A good source of phosphorus and potassium - wood ash, which is simply added to the water. Another secret of experienced gardeners - prikopat around the bush banana skins. Potassium-rich foods and enrich their soil. Garden roses, which are a product of perennialExperiments with crossing and breeding new varieties, lost the natural timer, suggesting the hibernation season. 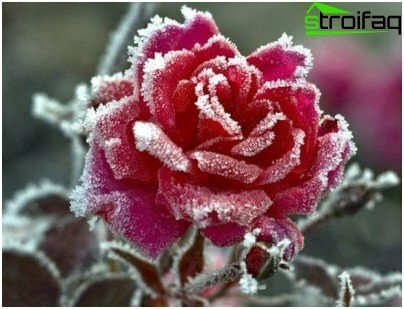 Without the aid to frost, the rose will fit in all its glory, with buds and newly-released leaves, which eventually leads to the death of the bush after the liquid in the plant freezes. Caring for roses in September is reduced to a suspension of vegetation. topping formed shoots and buds. Watering roses in the fall requires strictbalance. Abundant moisture will cause the growth of fresh shoots, but the lack of a liquid affect the state of the roots of a negative. The usual dose of irrigation in the middle of September to reduce the required 2-3 liters, and with a large amount of natural rainfall rose better cover film to prevent waterlogging shallow root system. Cut off the stalks are not experienced gardeners autumnIt recommends, as the cut-off area of ​​the kidney immediately begin to appear fresh shoots, but also to keep blooming and verdant bushes can not be, as they nutrients drawn from the basic structure of the plant, that it would weaken a difficult period. Buds and shoots pinch, that is, without removing the wring that leads them to the natural aging and desiccation. 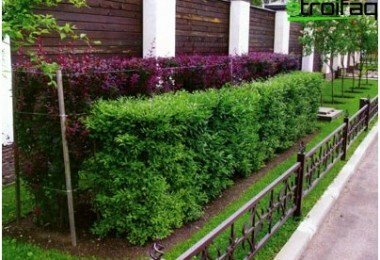 Loosening the soil and digging of soil betweenbushes are no longer produced in this period. The only work that is required to be held in the rose garden, is cleaning the fallen leaves. Its decay can cause infection of the bush, the foliage so carefully collected and burned. Such care for roses in September shouldheld to a sustainable change negative temperature. Cold plant has to be prepared to go to the last stages of preparation for the frost - to cropping and shelter. Trimming bushes has been held at a steadysettled temperature is below zero. Early wrapping roses will not benefit as overly protects the plant does not get enough immunity to colds. Removal of all not to be fallen leaves and fruit, weak shoots and superfluous shoots. To conduct this work, like the rest of the autumn care for roses, you can gradually freeing the bush of excess load step by step in the course of September and November. By November of the bush should be left only strong branches with thick bark that can withstand the temperature drop. The optimal number of 3-5 shoots. 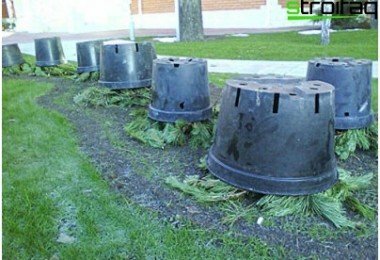 to prevent the defeat of the bushes pests and bacteria sections were processed garden pitch and trunks belyatsya. All rubbish, formed after these operations need to burn as preyuschaya foliage and branches - the likely source of infection for the rose bushes. 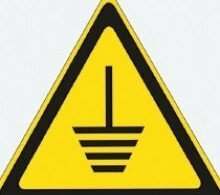 By hilling bushes procedure should approachslightly dried, so by heavy rainfall possible in advance to hide the film, placing it around the stem. Earth poured 20-30 cm must be completely dry. You can add in the little sand or sawdust. 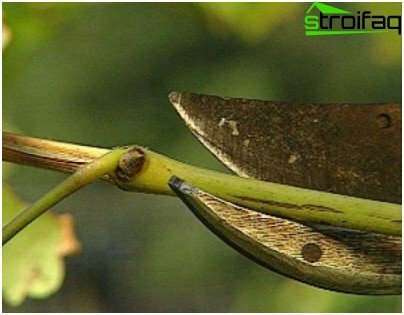 Hilling prevent stems from cracking, and the upper part of the root system of peremerzaniya and withering away. When the difference in approaches to wrap gardenersThey agree on one thing: for garden roses autumn care must include this procedure, as in the climate of the middle band even unpretentious park roses are experiencing bad cold. The best material for the wraps will be the onewhich will provide dry and relatively cool winter. Cardboard and paper, soak and preyuschie at the first thaw - not the best option as zero oxygen permeation film materials. 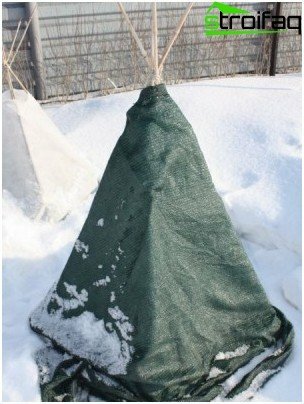 The optimal material most gardeners called spruce branches, providing good temperature and ventilation of the necessary. About the same effect it creates and stretched over a wire frame burlap. 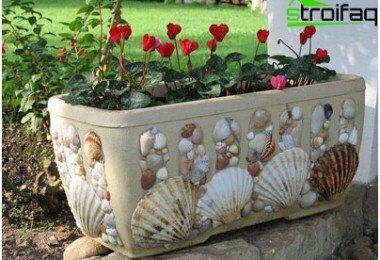 Gardeners, appropriate to the issue thoroughly, cover the design of the top wooden box. Caring for roses in the autumn - a laborious and time-consuming process, but the diligent gardener roses will thank abundant spring flowering.